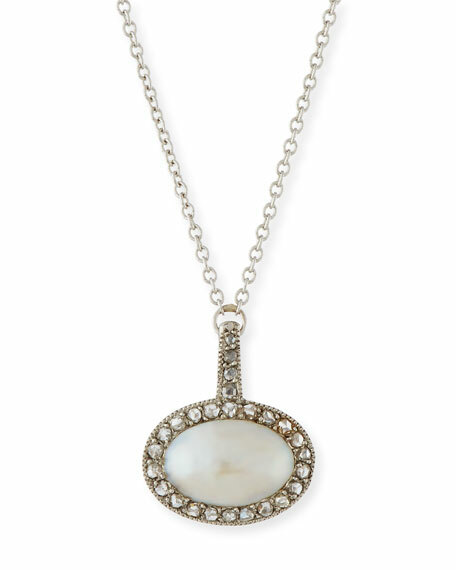 Turner & Tatler pendant necklace, from the Edwardian Period. Platinum cable chain and setting. Rose-cut white diamonds trim bale and halo. East-west oval-set, naturally colored, cultured pearl. For in-store inquiries, use sku #2095269.